What’s Your Current Go-To Brand? 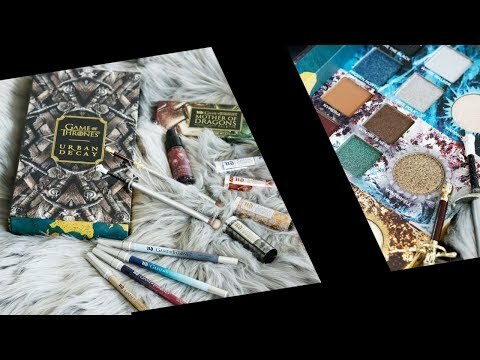 PUR Cosmetics teamed up with Dreamworks to create the limited edition Trolls Shadow Palette. Allison from Never Say Die Beauty is having fun with this versatile palette of brights and neutrals to move outside her comfort zone. Looking for a way to make a colorful eyeshadow palette office friendly? Check out Phyrra’s Kat Von D Pastel Goth Office Friendly Tutorial! Does your color need a boost? Cindy at Prime Beauty freshen up her hair color and found a way to stay away from the salon for a longer amount of time with White Sands Color Protecting Orchid Bliss Shampoo and Conditioner! Pammy Blogs Beauty perks up her Winter Skincare Routine with some awesome skincare products from Pixi Beauty! Blushing Noir knows it will take a strong beauty tool to replace her holy grail foundation brush – but CAILYN Cosmetics has done it with their O! WOW Makeup Brush! Lola’s Secret Beauty Blog absolutely LOVES the Space NK Spring Beauty Edit, and has all of the details about the event, and lots of pictures of the truly AMAZING Gift with Purchase! Early Access for N.dulge members is February 14 & 15th, and the event is open to the public on February 16th. You won’t want to miss the phenomenal Gift with Purchase– it’s worth $400.00, and it is free with your purchase of $250.00 or more! Beauty Info Zone is having an affair with Farmhouse Fresh. Their Whoopie Deluxe Gift Set though is changing the affair into a long term relationship. If you love a cozy vanilla fragrance, you will want to check out The Body Shop’s Vanilla Chai scent. Amber from daydreaming beauty has the details on this fragrance and it’s on sale! Shipra of Taneja’s Bride is colored impressed by the Laura Mercier Editorial Palette and its one-swipe pigmentation. Learn which of the Too Faced Peach Collection stand out to Periously Pale. You might be surprised. Question – What’s Your Current Go-To Brand? Answer – Urban Decay is the brand that I first turn to for everything. They make my favorite face primer (Optical Illusion Blurring Primer), Quick Fix Hydrating Spray, All Nighter Setting Spray, Afterglow Blushes, and I love their eyeshadows, lip pencils and lipsticks. I wish that I didn’t have to mix 50% white with One & Done in Light, because that’s a great foundation for my skin. I also wish that Naked Skin Foundation came in a lighter shade. What’s the Last Bottle of Nail Polish You Purchased? What are you really into right now – makeup, skincare, fragrance, haircare or something else? Previous articleWhat beauty brand needs a makeover? I don’t really have any one ‘go to’ brand for all of my makeup, but have particular brands for different products, eg lipsticks I just love Milani Colour Statement ones. UD – I must admit I have more of their eye shadow palettes than any other brand by a country mile. UD for eyeshadow & primer – I could never buy eyeshadow again and still not use all my hoard. Josie Maran for moisturizer & cleanser. Her argan oil products are perfect for my dry, sensitive face. Make Up For Ever Ultra HD Invisible Cover foundation – it’s light enough without being yellow. Paleface syndrome – you know! Tarte is my current go-to brand for eye shadow. Everything else varies quite a bit.